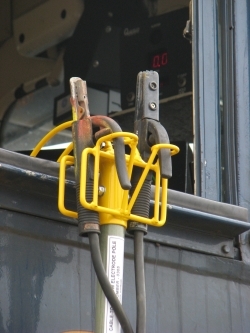 This pole is used to place the electrodes used to jump start locomotives on the locomotive window sill to provide simple, convenient access for jump starting. 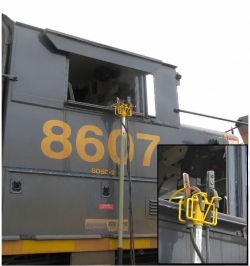 J-Hooks are used to secure the upper and lower portions of the cooling fans on SD70ACE series locomotives. 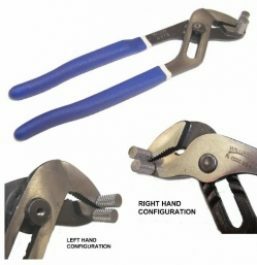 The hooks prevent the lower portion from separating during handling and transport. 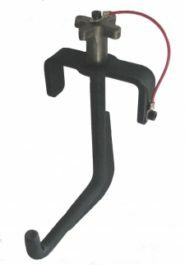 The hooks are used and sold in sets of four. 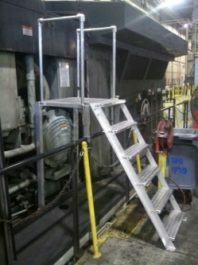 This platform system is designed to provide access to locomotive car bodies from elevated ramps. It mounts on the locomotive car body and hand rail.